In addition to that sweet moment at the Oscars last night, the late Bill Paxton got a moving tribute from storm chasers in the Midwest yesterday. 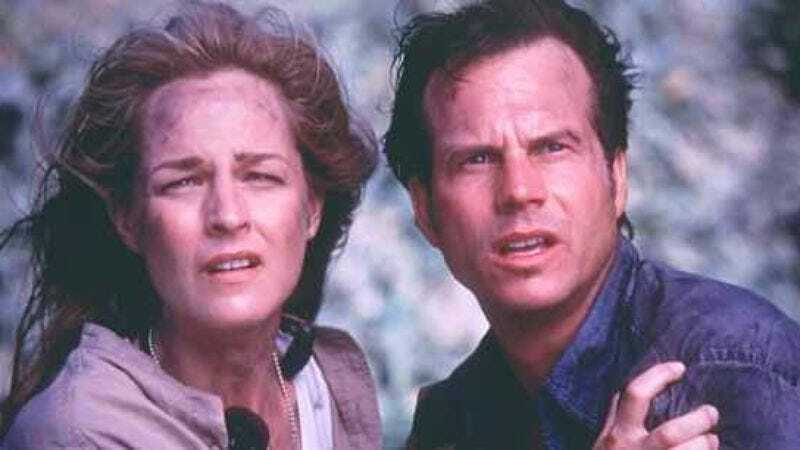 Paxton, who died on Saturday, was already a kind of patron saint to those weather-tracking jockeys, thanks to his role in Jan de Bont’s Twister. Paxton played Bill “The Extreme” Harding, a storm chaser turned weather reporter who’s pulled back into the business by some remarkable storm systems. The role helped put the profession on the map, and now the real-life experts have banded together to pay homage to the late actor. Hundreds of professional and amateur storm chasers used tracking apps to spell out Paxton’s initials by entering their GPS coordinates. It’s definitely the kind of thing that Paxton and “Extreme” Bill would have enjoyed.